This windshield is the answer to your Suzuki DR650 & DRZ400 rally and enduro needs. Add form and function to your enduro. Installs in minutes. 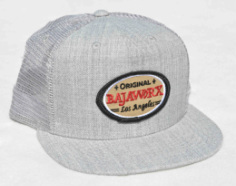 The Bajaworx Dakar windshields have traveled thousands of miles around the world. See what a difference a Bajaworx windshield makes! Rally windshield for you Yamaha WR450. Have a custom project in mind? We work with you to design and build custom parts to fit your requirements. Check out our gallery page for more photos of custom installs and design/build projects.